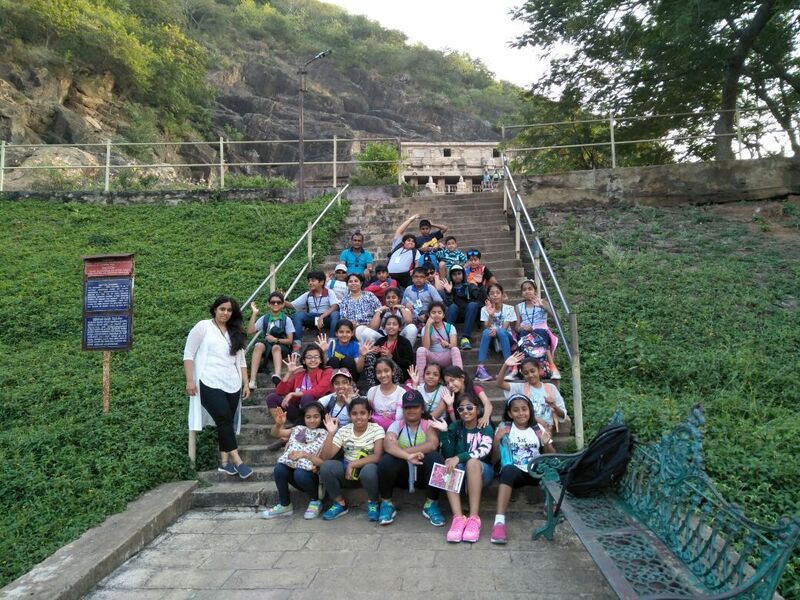 To bring a fun close to their school year, students of Stage 10 participated in a day trip to Deccan Trails on March 11, 2019. At the resort, the students indulged themselves in adventure activities such as Rock Climbing, Zip Lining, and Bridge Crossing in the vigilance of trainers. The students also engaged in many team activities with Hula hoops, Net games, Trampolines, and by playing Capture the Flag. They took plenty of pictures throughout the journey and danced to their favorite songs. Students were served a sumptuous lunch, welcome drinks, and milk with snacks in the evening. Students of IBDP 11 were taken to the Arbor Road Estate in Wargal on March 13, 2019. 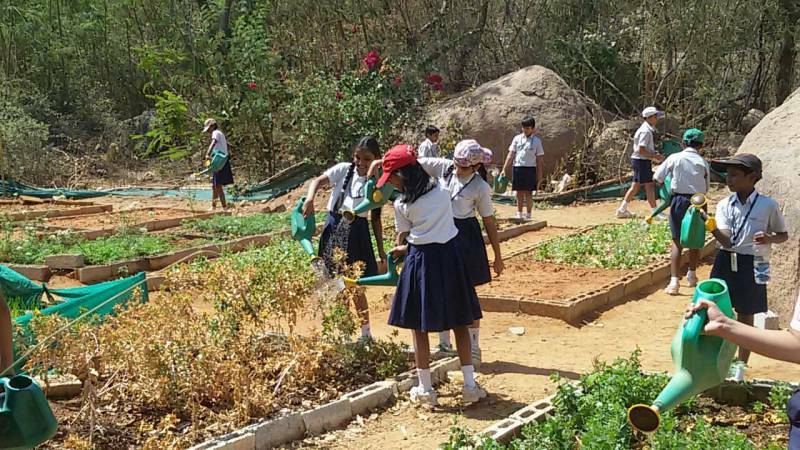 Aimed at being an outbound trip facilitating experiential learning, the Estate showed students what an eco-friendly sustainable environment looks like. The owners described the need for a space dedicated to nature for it to thrive freely. 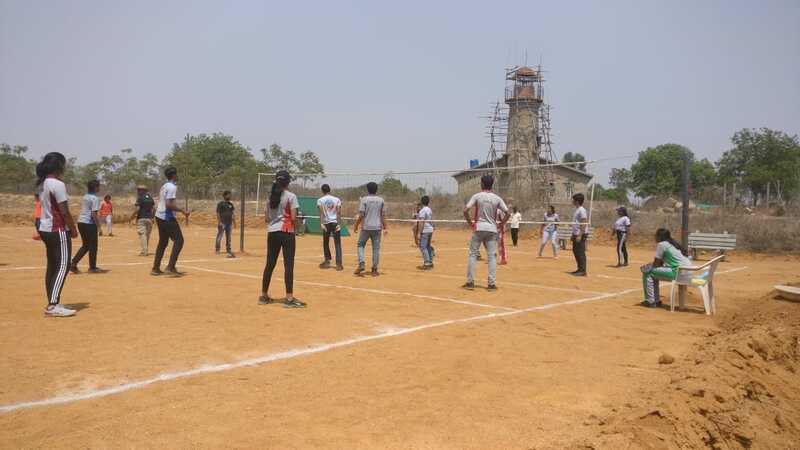 Students spent five hours in the Estate and partook in various activities planned for them by the owners. The students were taken on a nature walk through a small portion of the man-made forest and were explained the process of planting nearly 10,000 trees over the course of 6 years. The owners provided an array of facts and details pertaining to the conditions required for nature and how it was achieved through a series of innovative techniques. They were also shown a water harvesting pit and how it’s used to water the Estate throughout the year via an irrigation system. 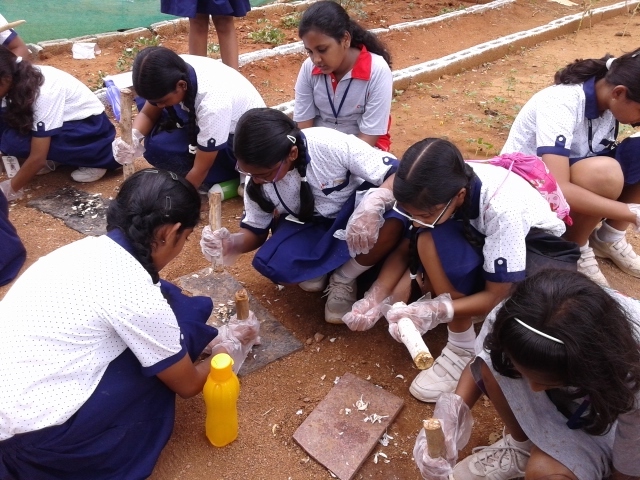 As a part of an engaging activity, students were assigned tasks such as making dung cakes, finding flowers, spotting insects, and making jewelry out of the available strewn weeds and leaves. It was a great experience for students to enjoy nature to the fullest and understand the importance of a sustainable environment. It is rightly said that “Education – Exposure – Experience” is an efficient way to learn. 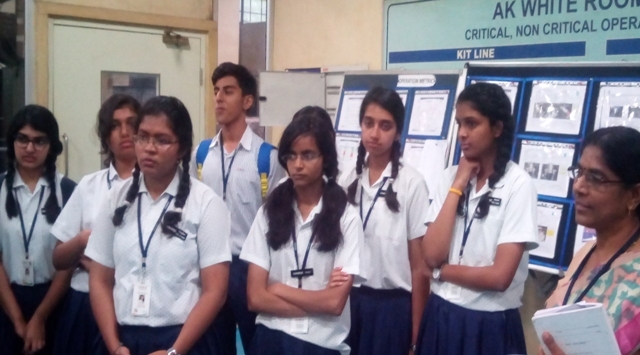 Learning Through Enquiry is best demonstrated when Commerce students of Grade 11 went on a 3-day trip on October 11th, 12th and 13th, to Mumbai, as a part of CHIREC’s efforts to give its students a cutting edge on their learning curve. On day one, the students paid a visit to Dharavi, multiple cottage industries viz., textile, pottery, papad and plastic and have seen the procedure of producing various ready-to-consume food items by consumers. Manufacturing is one of the key elements the students took back home from this experience. 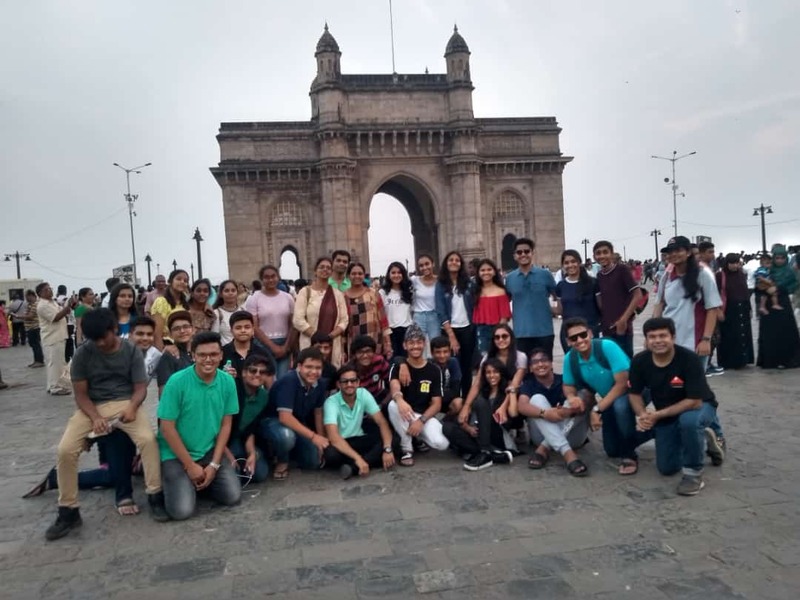 The students then visited the Fashion Street Market; a cluster of 385 street side clothing shops, and later stopped by the Gateway of India and witnessed the sunset at the Mumbai Marine Drive. On the second day, the students visited the grand Bombay Stock Exchange Building. At BSE, the students were shown the important features of the BSE and general exchange by the BSE COO, Dr. V Aditya Srinivas. They were explained the functioning of trade and software by a trader. At the RBI Monetary Museum, the students learnt about the evolution of currency, and exposed to multiple types of currency. Day 3 commenced as the students visited the APMC (Agricultural Produce Market Committee) and met a few traders who shed some light upon the concepts wholesale and Retail, trading system, marketing structure and functioning of regulated market. The tour came to an end with the students visiting the world’s largest diamond bourse, Bharat Diamond Bourse, that helped the students understand the economy involved in diamond trading. 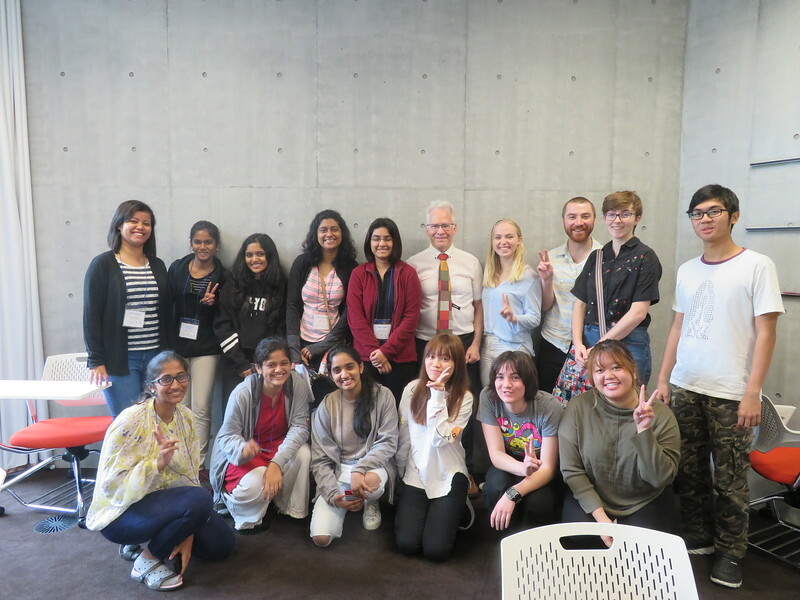 CHIREC organized a study exploration program to Japan for seven students, accompanied by a faculty member, who visited the International College of Liberal Arts for a week. The objective was to explore opportunities to study in Japan. On arriving at Narita International airport, the group was received by Ms. Hosaka, Director at iCLA. The college is located at Sakaori in Yamanashi prefecture, which is a three-hour bus ride from the airport. iCLA is in a gorgeous country side nestled between mountains and hills. After arriving at the college, the students were introduced to Professor Jhingan and Dean Lacktorin who briefly spoke about the genesis of iCLA and what it has to offer its students. 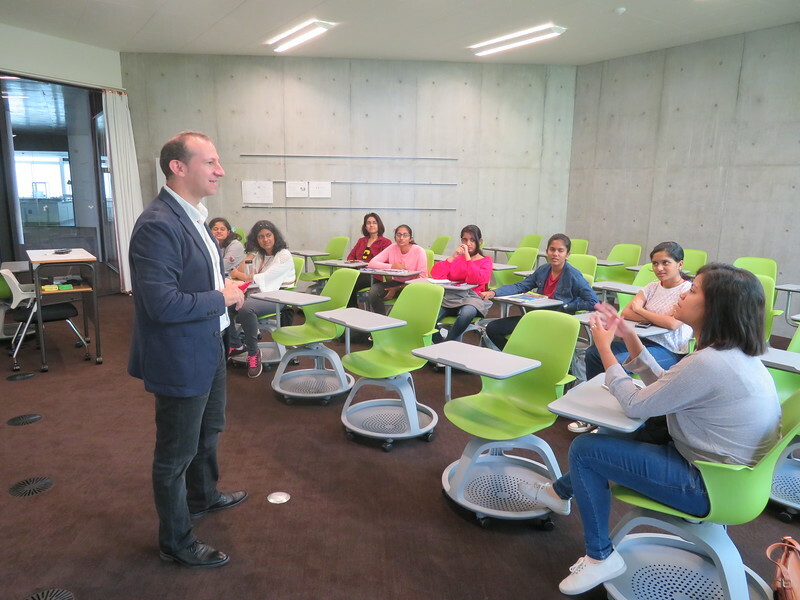 Professor Touma of the iCLA faculty introduced the students to the greetings and other nuances of the Japanese language. The session ended on a fun note when all the students introduced themselves in Japanese. The group was given a tour of the campus by Professor Koji followed by an interaction with other students over dinner. The students attended a fascinating lecture by Professor Jhingan on the history of space and time and the four great revolutions in science. There was also a class with other iCLA students on World Literature by Professor Kirby Record, who spoke about dimensions of imagination and reality. Here, the students interacted with other students of the class, who spoke at length about how classes are conducted and the various books they have read as part of their coursework. One of the most interesting classes that the students enjoyed was on – Three Gods of Japanese Comics and Japanese Theatre. Professor Ashmore gave captivating insight into the cultural impact of Japanese comics and its wider influence. The highlight of the day was when the group was taken to Kofu, the main city of the prefecture, to shop and catch a glimpse of the city life. On 17th October, students participated in a lecture on Political Science on a very debatable topic “Should Japan have its own army”. During the next session, students received hands-on experience with calligraphy. Professor Reed, who has been practicing calligraphy for 40 years, gave a demo after which the students tried their hands at it. He also presented them with a calligraphy of the meaning of their name written in Kanji. The students also witnessed the exquisite tea ceremony, an intrinsic part of Japanese culture. The ceremony was followed by a Kuchipudi dance by K.L.S.Kaivalya, a CHIREC student. The last day of the tour had the students visiting Yamanashi. Other places they visited included the MAGLEV exhibition center, Fuji world heritage site, and a model Japanese village. 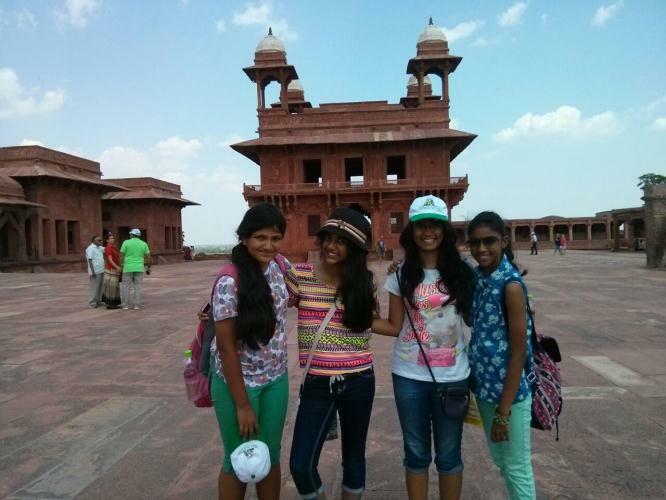 The trip was both an engaging and a culturally enriching experience for the students. Students of Stage 6 & 7 visited Geejgarh, a village in Jaipur, Rajasthan, from 9th to 12th October. Geejgarh boasts a rich and cultural heritage. 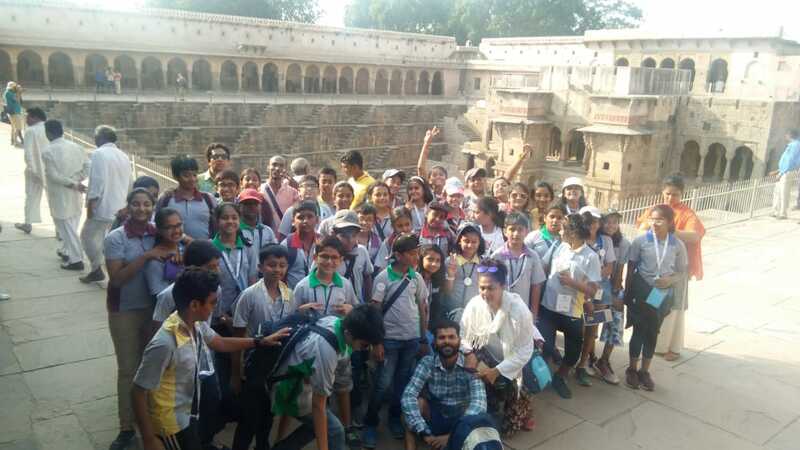 Chand Baori at Abhaneri proved to be a popular attraction, and students mingled with the locals and observed their way of life. Students also visited a government school and learnt about how it functions. They actively participated in activities such as painting the school, conducting village Olympics, U Leap Mann session, cleanliness drive, farming activities, puppet show, Rajasthani folk dance, and the art of turban tying. The students also enacted a skit based on their school field trip. 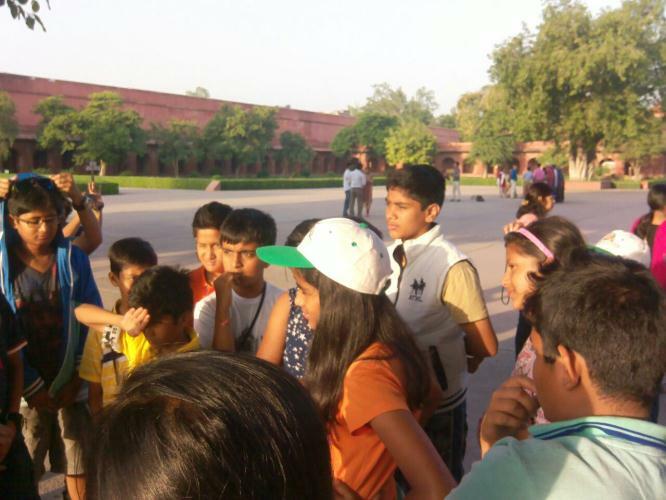 72 students of Class 8 visited Ranthambore, Jaipur, from 6th to 9th October 2018. 8 teachers accompanied the students on this trip, which proved to be a great opportunity for the students to learn through actual experience. 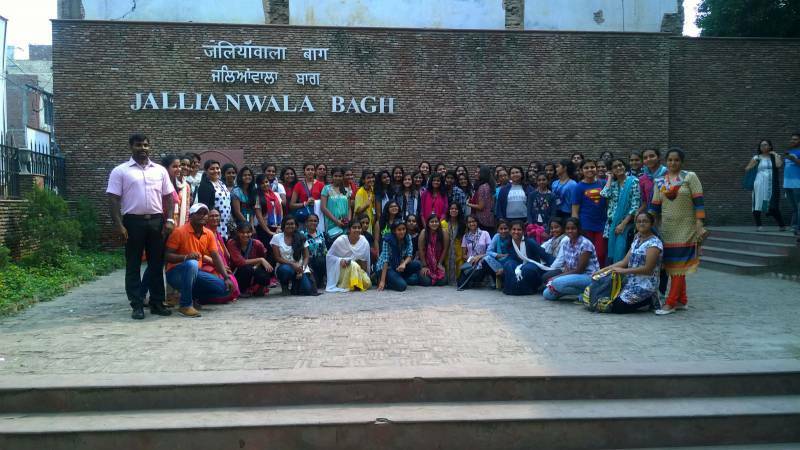 The students enjoyed the serene village atmosphere, visited historic places depicting diverse Indian Culture and Heritage. The students also witnessed a Gram Panchayat Committee, and interacted with the locals, observing their way of life, before visiting a Government School and understanding how it functions. 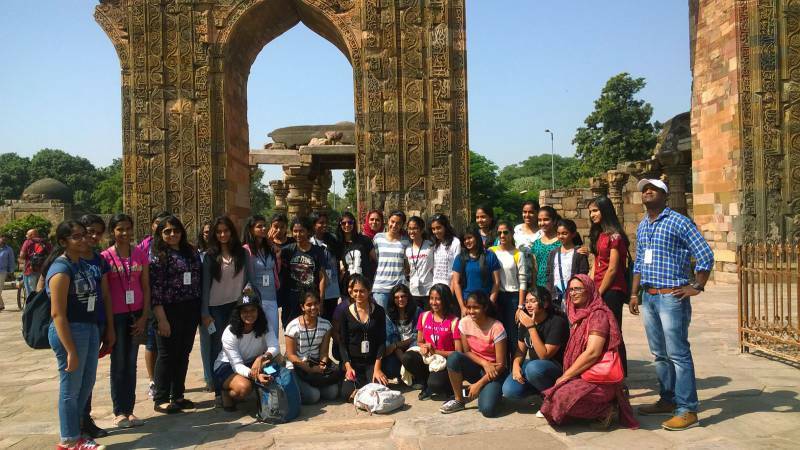 11 students of CAIE and CBSE went on a 3-day trip to Bangalore between 8th October and 10th October 2018. The trip was organized by Explorars, the theme being Language of Love. 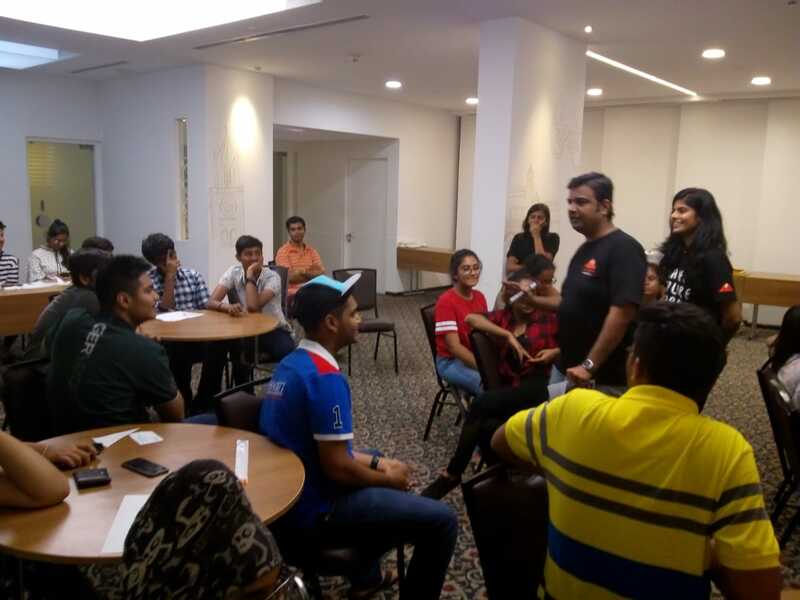 Upon arrival, the students attended the orientation session conducted by Dr. Arun Shah (Director-Research & Veterinary operations - Wildlife SOS). He briefed about how Sloth Bears were poached earlier by the Kalandar Community but are now rescued and nurtured by Wildlife SOS. Dr. Arun patiently answered students’ queries about the program and various other aspects around rescue and treatment of animals. 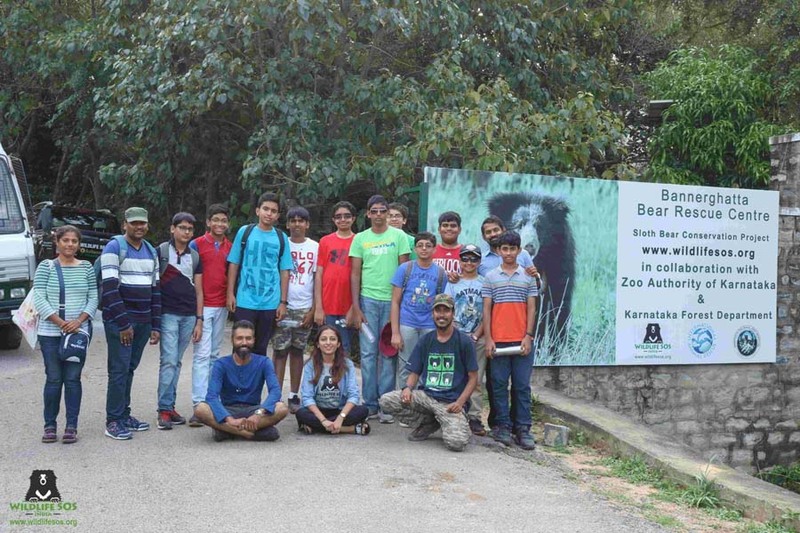 The second day marked students’ activities which included playing the role of Wildlife SOS volunteers, participate in cleaning the bear enclosures, and building the Bear Hammock; a part of their Structural Enhancement Learning. The final day of the tour concluded with students sharing their insights about the program followed by filling feedback forms. 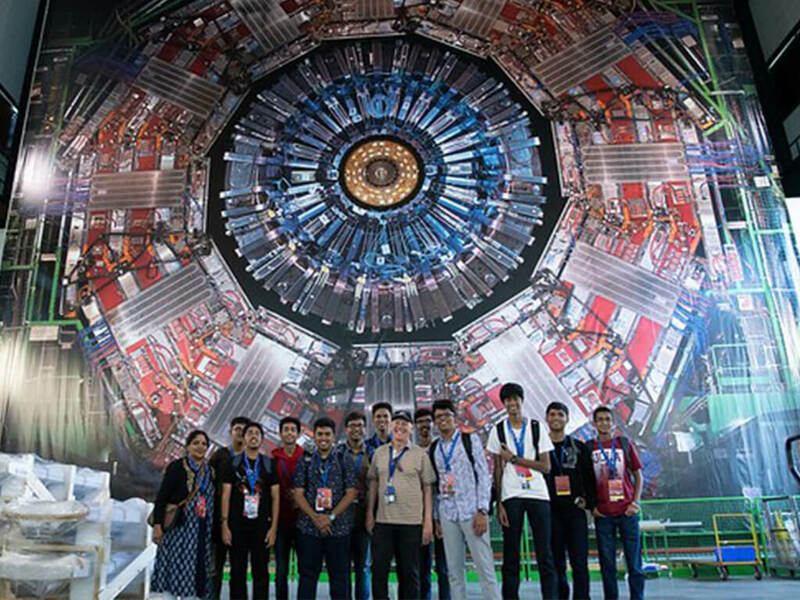 A few students, namely, Arnesh Gade, Vishnu Harshith Chevvakula, Sanjay Chunduru, Varun Gudapati, Om Pappureddipalli, Prathik Venkat Gunturu, Abhinav Kalhan, Ujwal Komaravolu, Aarav Vishal Patkar were given the Explorar Leadership Award. During the months of April and May, two teams of students, chaperoned by CHIREC teachers, travelled to Switzerland. 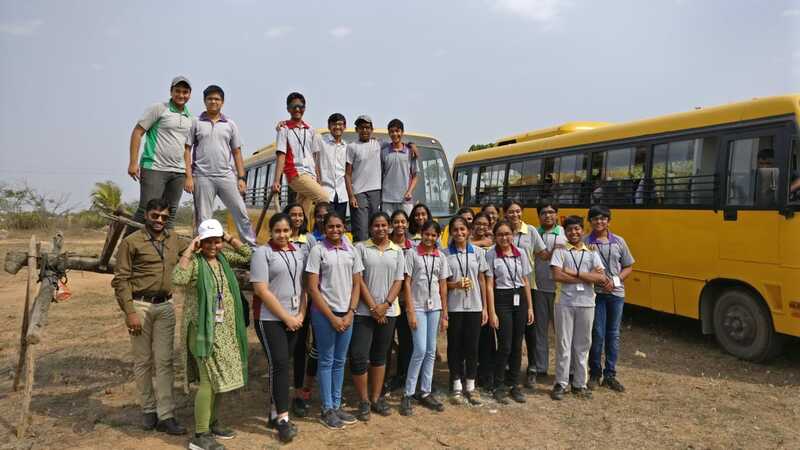 First, 17 students from Classes 7 to 11 from CIE & CBSE curricula, accompanied by two teachers, went on a 7-Day trip from 16th – 23rd Apr 2018. 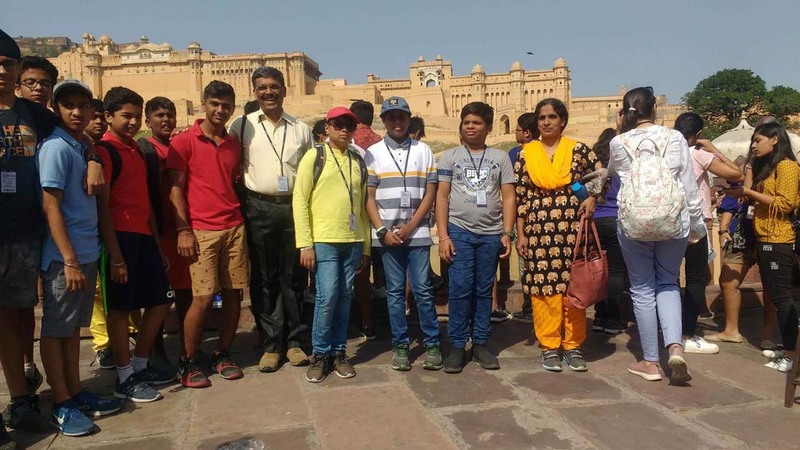 A second team, comprising of 13 students of the CBSE and IB sections, accompanied by Ms. Sujatha Ramesh, also visited the country from 20th - 26th May 2018. 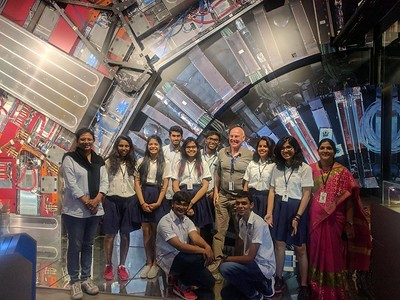 The main purpose of both trips was a visit to CERN, which is The European Organization for Nuclear Research that operates the largest particle physics laboratory in the world. Facilitated by the Life Lab Foundation, students and teachers connected with the world’s leading scientific organization. Apart from CERN, Team 1 was taken to the United Nations office in Geneva and was given a tour of the office and the monumental ‘Broken Chair’. They were informed about the history and various bodies of the UN. 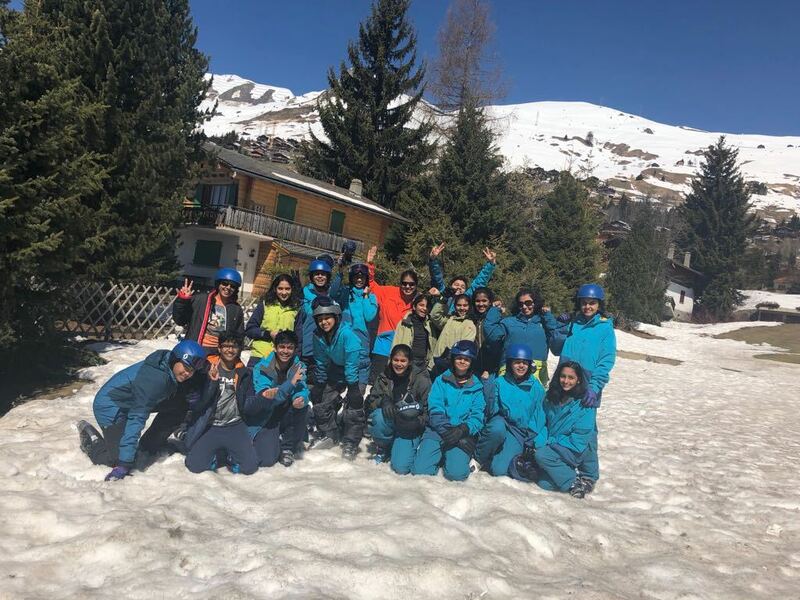 During their leisure time, the students went skiing. Team 2 visited Chamonix on the first day, where the students witnessed the enchanting beauty of the snow-clad Alps. 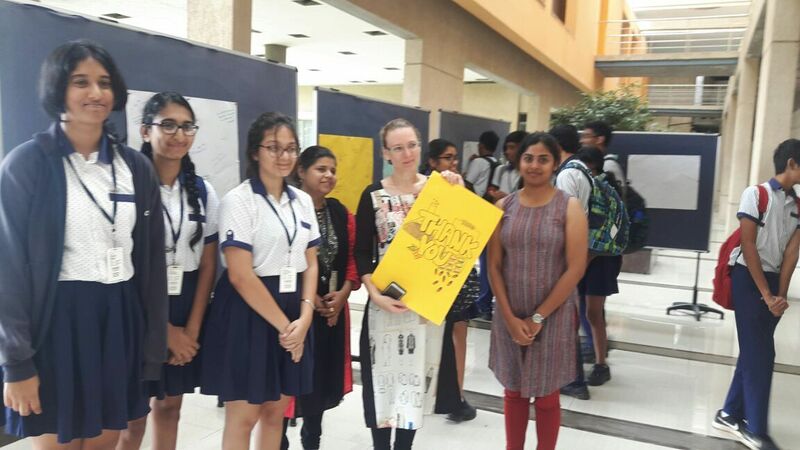 They also visited the International Red Cross Museum, which houses a collection titled ‘The Humanitarian Adventure’ under 3 categories - Defending Human Dignity, Restoring Family Links and Reducing Natural Risks..
On the 17th July 2018, the psychology students of the 11th and 12th grades visited the psychology lab of St. Francis College, Begumpet. The aim of the visit was to expose the students to psychological testing and to help them understand the various forms and purposes of these tests. The psychology lab at St. Francis College was equipped with a diverse display of psychometric and psychophysical tests. 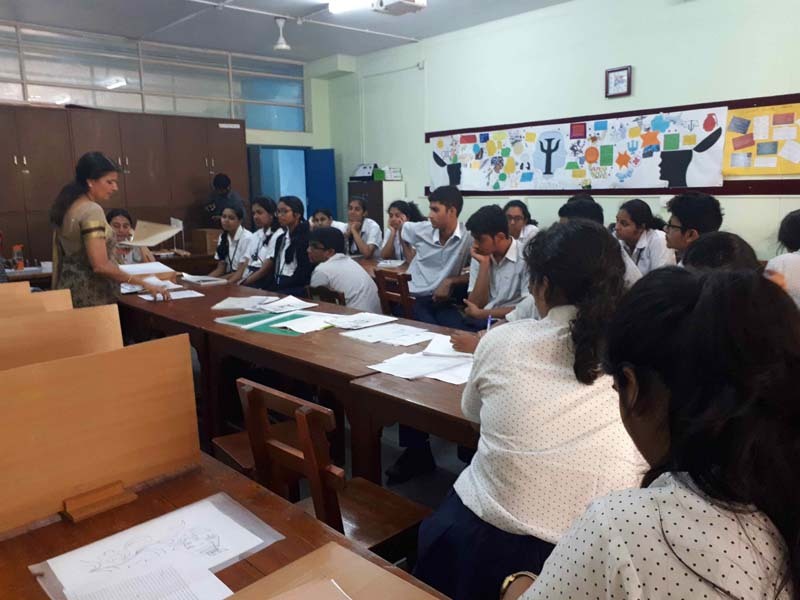 The students were allowed to browse through each one, after which the Head of the Department Ms.Geeta demonstrated the use of some equipment and explained the differences between psychophysical and psychometric tests. She showed the students the Indian adaptations to the different psychological tests. She also informed the students about measuring intelligence through the various test batteries. After equipping the students with this information, they were given live demonstrations of the equipment such as “Reaction Time”. It measures the individual’s response to auditory and visual stimuli. The students also observed the demonstrations for the Stroop test, Mental set, Levels of Processing and Attention Processing tests with great fascination. The students were then allowed to try out the various equipment and the tests and learn how to conduct tests like the Narcissistic Personality Test, Draw-a-Person Test, Rosarch Ink Blot Test etc. The visit was successful in providing the students with hands-on experience in applying psychological principles in practice. 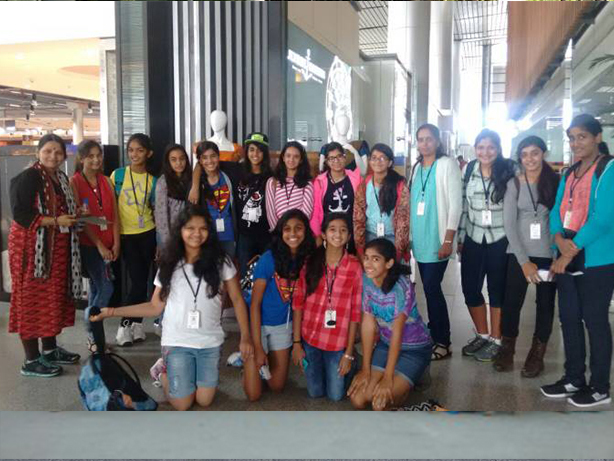 27 students of Grade XI were accompanied by 2 faculty members on a field trip to ISRO and Krishnapatnam Port from 30th Nov ’17 to 3rd Dec ’17. 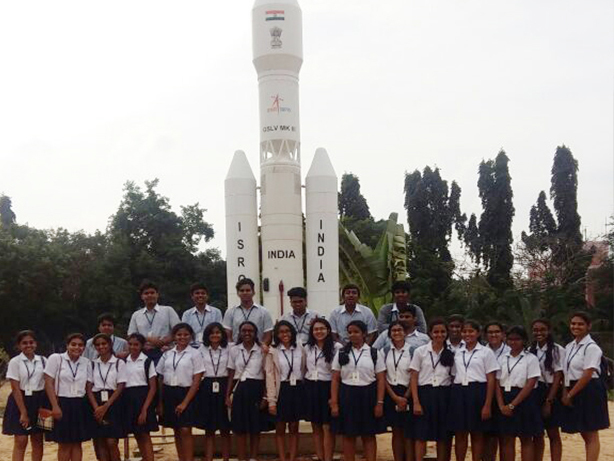 Students first visited the SDSC (Satish Dhawan Space Centre) located at Sriharikota (Sullurpet), where they took a tour of the center including the ‘Mission Control Centre’, ‘Second Launch Pad’, ‘First Launch Pad’ (FLP) and the space museum. At the museum, the students learned about different planets, how satellites function, the different stages of launching, and survival on different planets. Students were then taken to Krishnapatnam port, which spreads across 6000 acres. 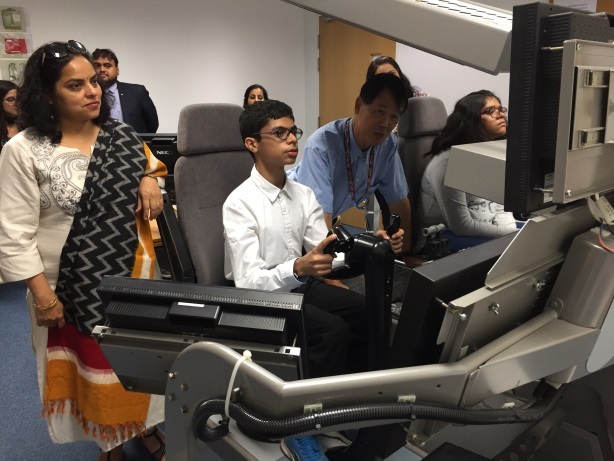 Students learnt about the functionalities of the port, which is used for imports and exports of a wide variety of items such as Granite, Coal, Iron Ore, Wheat, Edible Oil, Cereals, Maize, etc. 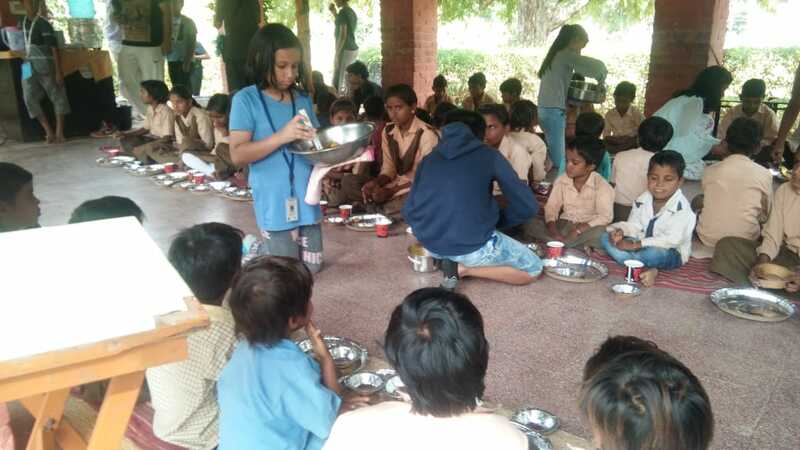 Students were shown the military training center, the dog training center, and the Chinta Visveswara Rao kitchen, where food is prepared for about 15000 people a day. Students of Grade V went on an outbound educational trip to Guntur from 24th to 26th Nov ’17 and learnt about the history of Kondapalli Fort and Kondavalli Caves and observed about 12,000 different birds at Upallapadu Bird Sanctuary. In the Chilli yard, they observed the chilly plants and learnt the process involved in the cultivation of these plants. Students also prepared yummy sandwiches and showcased their talents on the Talent Night. 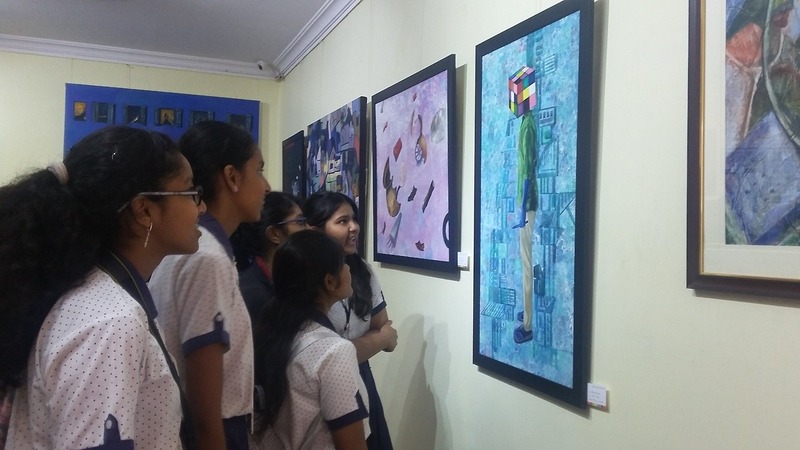 19 students from Stage 9 (Art and Design), IB-12 (Visual Art), A-level (Design and Textiles), AS-level (Design and Textiles) and IB-11 (Visual Art) visited JNAFAU Arts college, Masab Tank on 23rd November, to witness the exhibits of the MFA students. 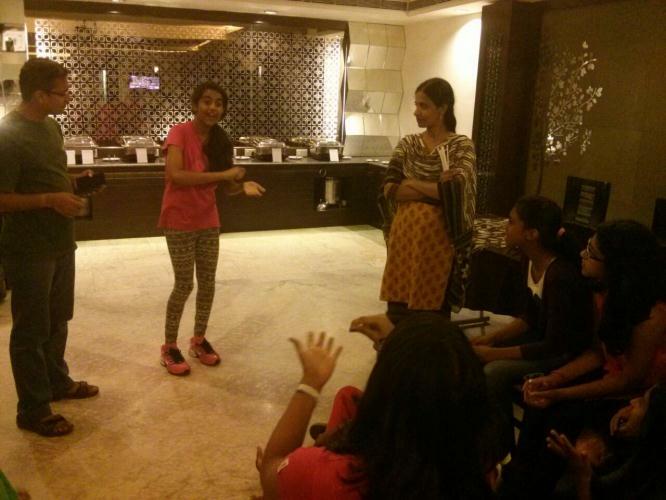 Students observed live sculpting , bronze modelling and charcoal sketching classes. 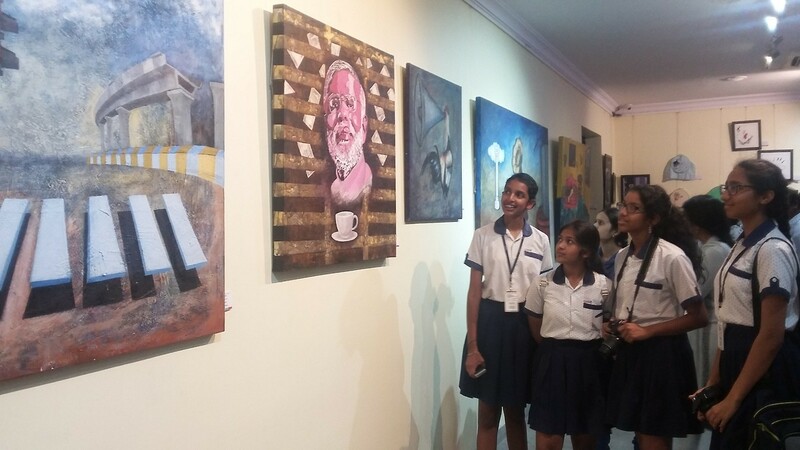 The main Art Gallery displayed various art forms based on the theme ‘Urbanization’. 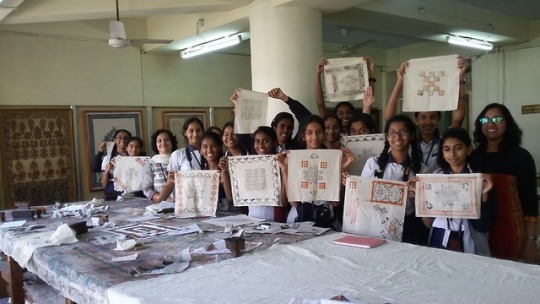 Students of C11 Design & Textiles, IB 11 Visual Art & C9 Art & Design visited the Weavers Service Centre, Nampally, to study the handloom industry and were given insight into computer-aided textile designing. 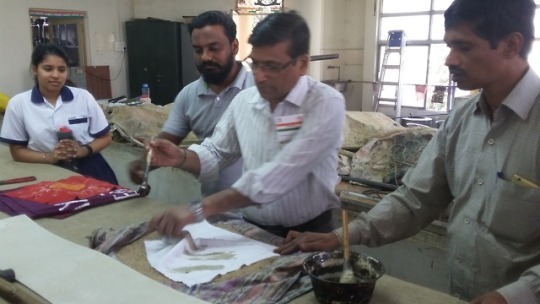 Students observed the functioning of different types of looms, explored various techniques with blocks printing and were given a demonstration of the detailed process of creating batik designs by the Additional Director of Weavers Service Centre. The students of Stages 10 A & B visited Dr. Reddy’s Lab, HCU Campus, as a part of their educational trip on 15th Sept ‘17. 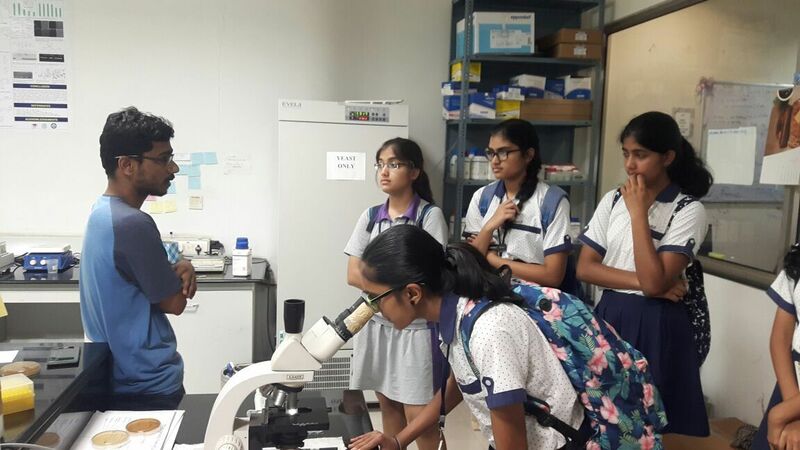 The students interacted with the scientists, visited Chemistry and Biology laboratories and witnessed some experiments. In the Chemistry lab, the lead medicinal chemist explained the functions of the various equipment in the lab and the tasks they perform. The scientists informed the students about how they come up with new chemical structures, and how after undergoing several screenings and safety tests, the drugs are brought into the market. In the Biology lab, the students saw zebra-fish, which are bred for medical testing. The drugs from the Chemistry lab are passed on to the Biology lab for testing. 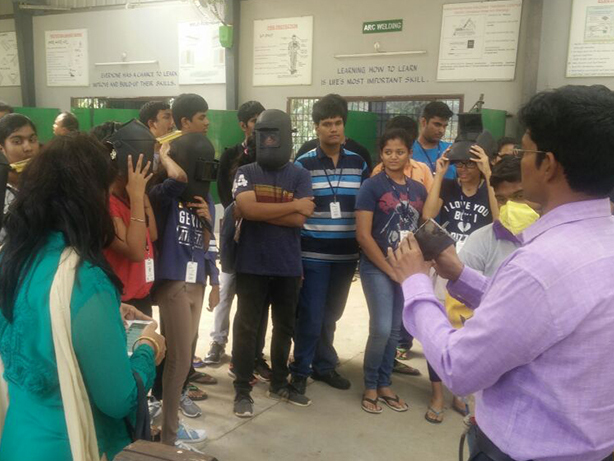 The students learnt about centrifuges, UV waves, fish and human cells, and cancerous cells. The students of Grade 6 were accompanied by six members of the faculty as they embarked on a wonderful tour of Coimbatore, organized by Travel Today, from the 4th to 7th of October. After arriving at the Accord Highland Hotel and taking in its spectacular views, the students and faculty visited Dodabetta Peak and were awestruck by the magnificent beauty of the peak. 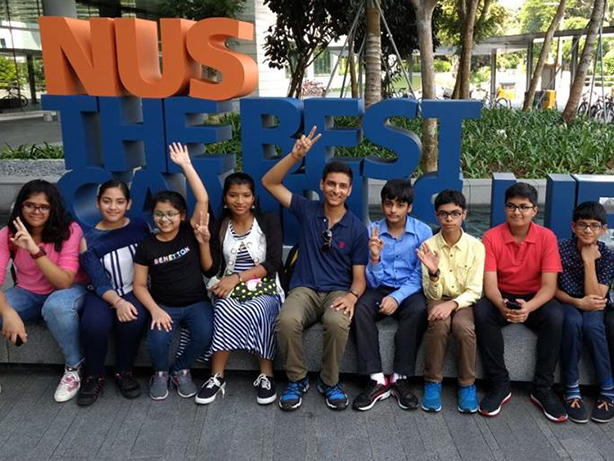 The group was welcomed by the Conoor Tea Garden and Tea Factory staff, and they then visited the Chocolate Factory, and the Wax Museum, which were great hits amongst the students. The trip was jam-packed with fun activities such as boating on Ooty Lake, a visit to the Botanical Gardens, and warming up beside a toasty bonfire on a cold night. 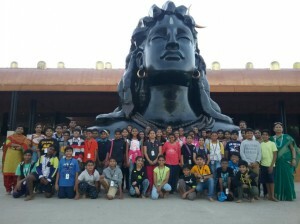 Towards the end of the trip, our students and teachers visited the Isha Foundation, located in Coimbatore, before packing up and returning to Hyderabad after an enjoyable vacation. The students of Grade V went on a field trip to Active Farms to learn ‘How Plants Reproduce’. The trip brought the students closer to nature and taught them about the kind of work that farmers do to put food on our plates. 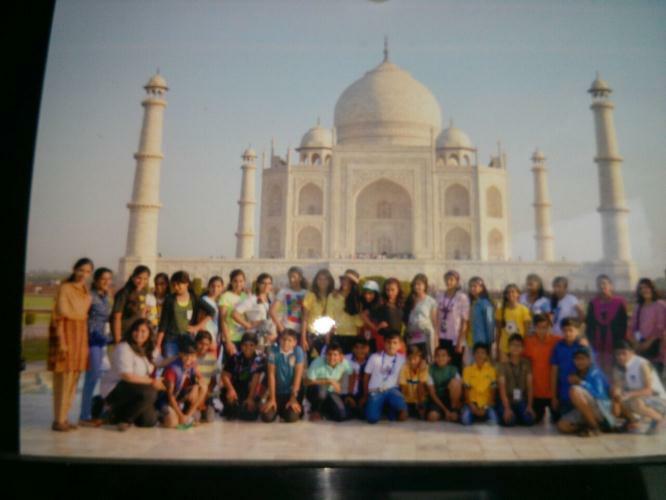 Students of Grades IX and X went on an excursion to Delhi, Amritsar and Dalhousie. The trip provided an opportunity to visit historical monuments such as the majestic Qutub Minar, India Gate, Jallianwalla Bagh, the Golden Temple, and to experience picturesque Dalhousie. 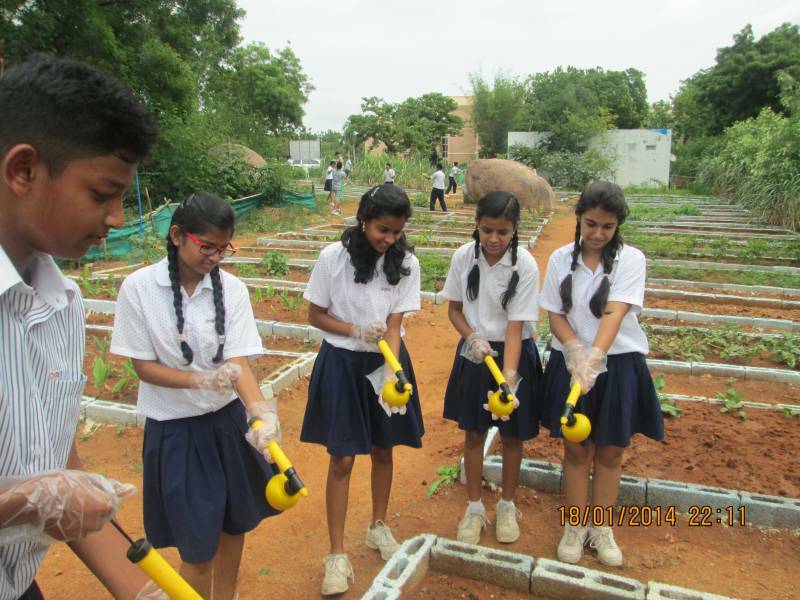 The students of Classes 6 to 10 went on an educational field trip to Active Farm School (ESCI campus). 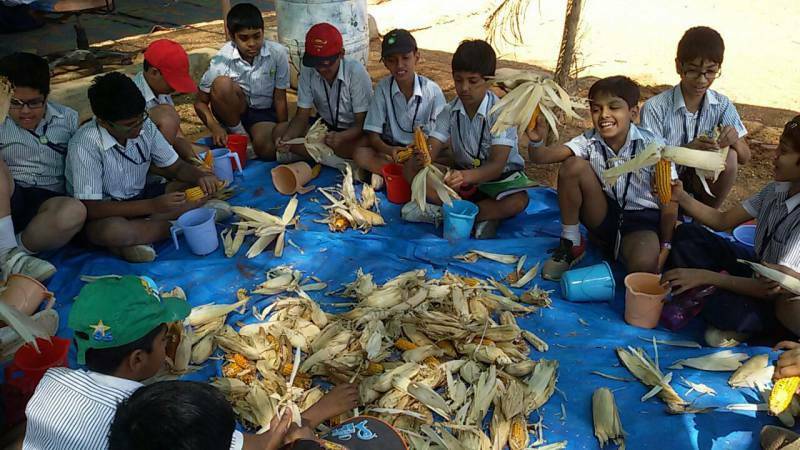 The field trip gave them a detailed understanding of modern farming methods, the importance of using high yield variety seeds, and the role of science and technology in improving agricultural practices. Students of Class XII went on an education trip to Tecumseh Products, a manufacturer of hermetically sealed compressors. Students visited the manufacturing plant and saw modern production and scientific management techniques at work, such as just-in-time Manufacturing, Lean Manufacturing, KAIZEN, SIX SIGMA and 5S. Mr. Jagdish Peswani, Director of Fundraising for Habitat for Humanity India, conducted an orientation session for the students of Stages 6 to 8, and students from Classes 10 to 12. Habitat for Humanity is a nonprofit organization that helps build housing for low-income families. 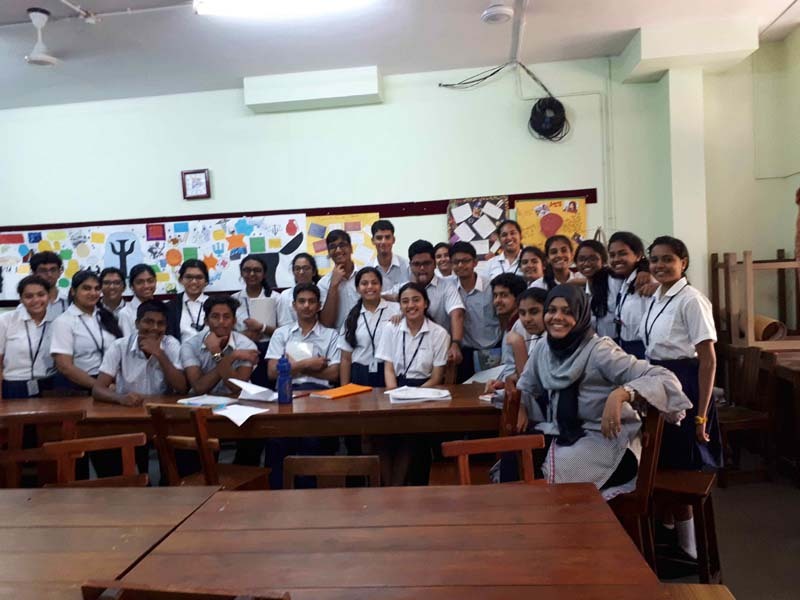 Students of Classes 11 and 12 were invited to help construct houses and get involved with the organization during their October break, as a part of their CAS programme.